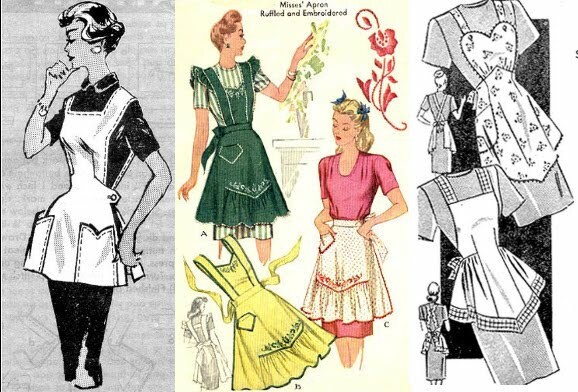 There's an email circulating that waxes nostalgia about aprons: how they were for more to protect clothing during cooking, but to wipe away fingerprints from glasses, carry eggs from the chicken coop, and dry the tears of a crying child. The email also ponders if today's children even know what an apron is. Indeed, the apron used to be required wear of all housewives from the 1930s through the 60s, and were quite stylish, often taking on the shape of a sundress accompanied by a colorful pattern. 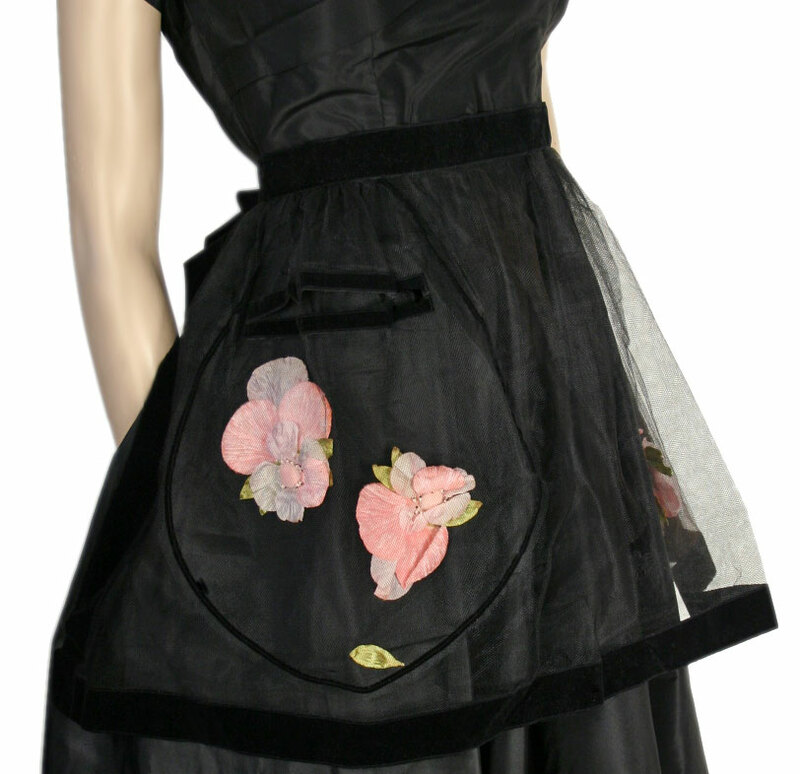 They were often embellished with ruffles and pockets. For today's working woman, not so much. 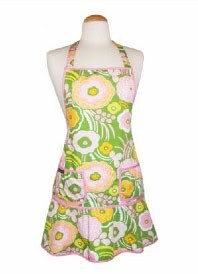 And most aprons post 1970s usually meant a tacky saying such as "kiss the cook" on a rather straight-edge, no-frills design. Of course, you can also make your own aprons. They make a really great beginning sewer's project, and I found a ton of old patterns for sale at So Vintage Patterns. 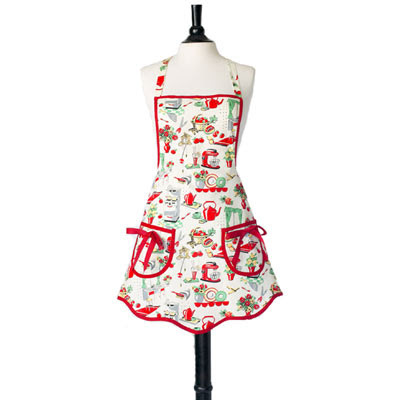 So go ahead, introduce your children to the beauty of the apron. 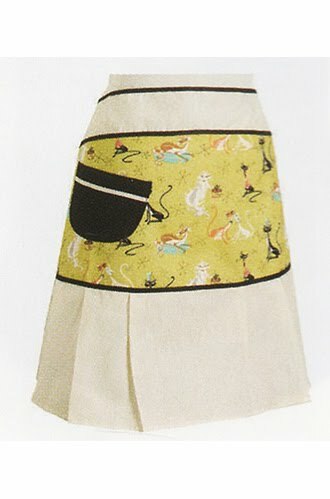 I love aprons, have several...never remember to put them on. I love the old aprons. I always remember my Grandma in a full apron, buzzing around the kitchen. 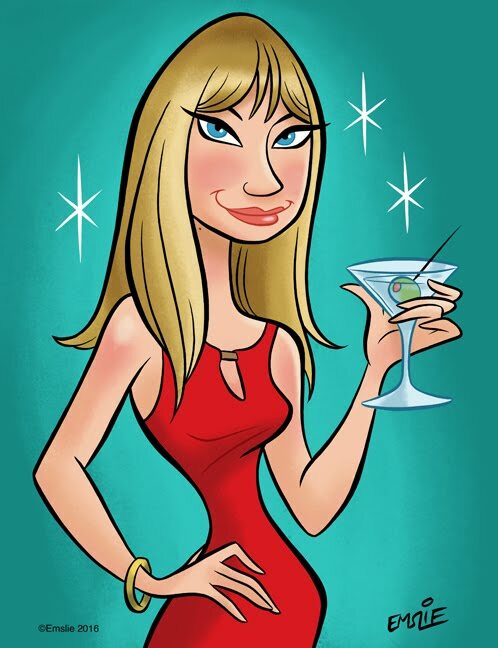 Love your blog, please drop by when you have time. I dabble in a few vintage posts, here and there.